1,000 Pieces to Print a Logo on the Handle. Use this large eQo-Friendly powder/bronzer brush which features natural goat hair and a bamboo handle to set powder over your foundation. It can also be used to apply blush or bronzer. 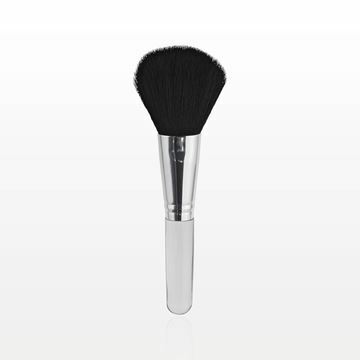 Use this large powder/bronzer brush that features nylon hair and a clear handle to set powder over your foundation. It can also be used to apply bronzer or blush. All 4 one and one 4 all! At first glance, this makeup brush appears to be a dual ended blending brush. However, when you slip off the brush tips, you’ll find two additional brushes contained inside. 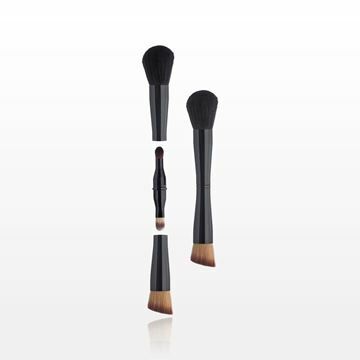 The outer brushes include a blush brush and an angled stipple brush, which is perfect for applying foundation, highlighting or contouring. 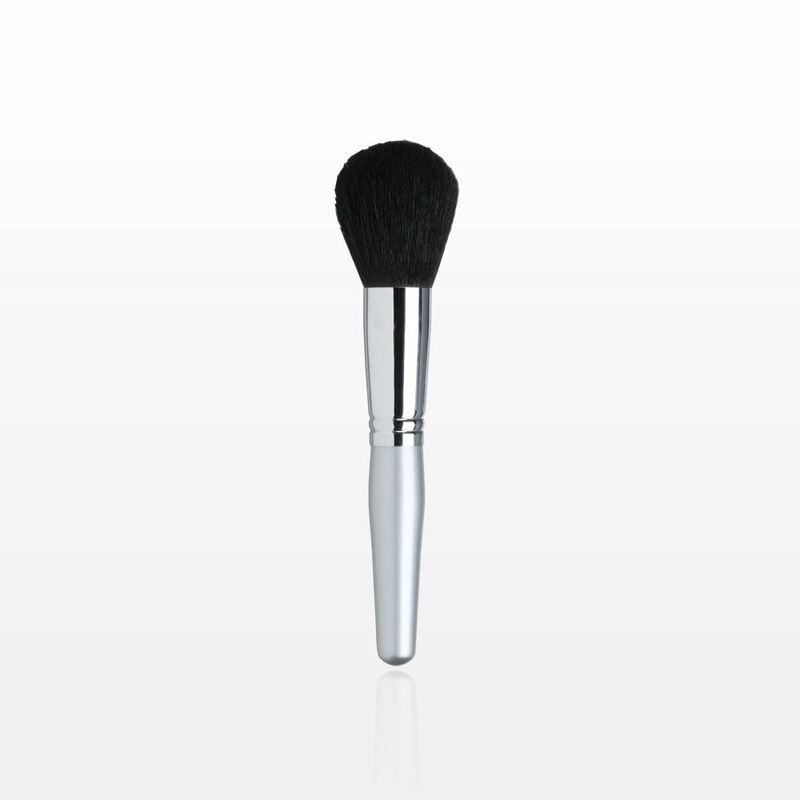 The inside brushes include an eye shadow crease brush and an eye shadow/concealer brush. 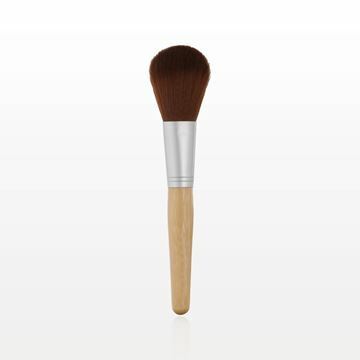 All four brushes feature nylon hair. 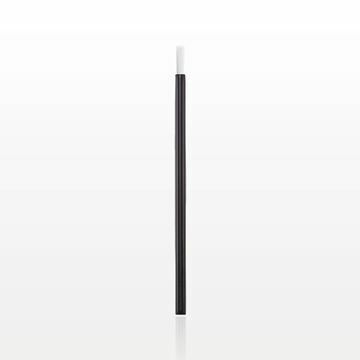 This single-use lip brush applicator with black handle and white nylon tip is perfect for testing lip gloss or lipstick in a retail setting. 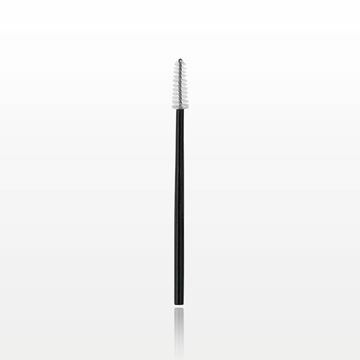 The bristles are ultra-sonically bonded inside the handle without adhesives to help ensure that the hairs remain in place, preventing shedding during use. 88 of our 2018 Catalog.